Open for all types of unique events. Private Parties in West Des Moines. 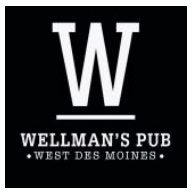 Hold your next event here at Wellman's Pub & Rooftop! Use the contact form here to inquire about holding your next business gathering, graduation or birthday party. We will get back with you within 24 hours. Feel free to call with a pressing need at 515-222-1100. Feel free to use this form for other requests as well. Thank you! Someone from Wellman's will be in touch with you shortly.